At Fresh Laser Skin Studio, we believe that our clients and their individual needs come first. We are a medical directed, registered Cosmetic Laser Facility and use state-of-the-art technology to restore, improve and maintain your skin’s health and appearance. We specialize in skin rejuvenation of the face, neck, décolleté & hands, as well as laser hair removal, tattoo/pigment removal and body sculpting. At Fresh Laser Skin Studio, we believe that our clients and their individual needs come first. But in an industry flooded with new products and procedures, it can be difficult to choose what is right for you without compromising your health and safety. We therefore take a precautionary approach, always opting for safe and tested procedures. Our focus is skin health and procedures that correct and maintain our skin health naturally. We use the latest technology and all of our specialists are certified and trained on all of the procedures they provide. We will do our utmost to provide you the best treatment options for your concerns. 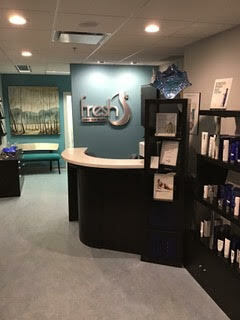 At Fresh Laser Skin Studio, we put safety first and stay up to date on the best techniques and latest treatment developments. If you’re ready for a fresh start – book your complimentary consultation today by calling us at (403) 264-4494 or book one online!